Conventional and biological milk powder from the Netherlands and New Zealand were compared for this study. Biological milk powder from the Netherlands has the lowest environmental cost of €6.40, which is lower than conventional milk powder from the Netherlands (€ 9.05). 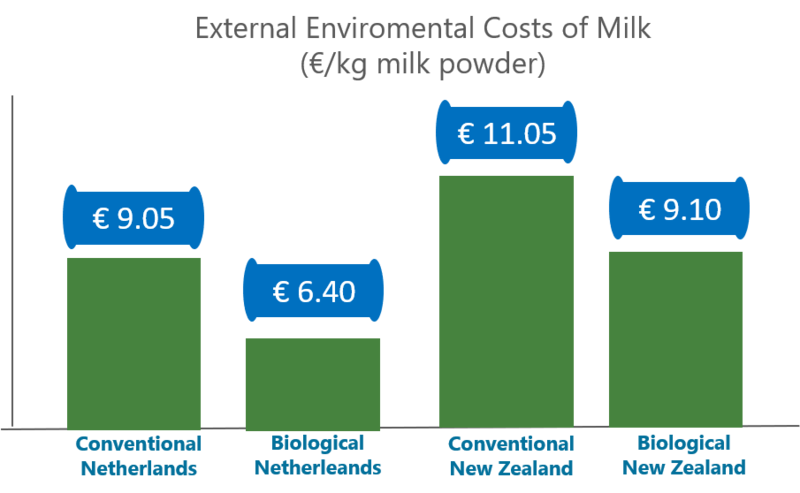 Comparatively, Dutch milk powder (both conventional and biological) have lower environmental costs than milk powder sourced from New Zealand. Description: True Price’s report to evaluate the external costs of a chocolate bar required an evaluation of additional ingredients. Therefore, True Price calculated the external environmental costs of milk powder, which is one of the main ingredients in Tony’s chocolate bars.